While the world was busy watching the Islamic State (IS) ploughing through large parts of Iraqi territory, the central government of Baghdad was getting a major face-lift. In less than one month, Iraq got a new president, new parliament speaker, and new prime minister. On paper, so much has changed. In reality, however, so much remains strikingly the same. The rights, rivalries, and rituals of Iraqi sectarianism all remain firmly intact, and so does the dramatic influence of Iran’s big neighbour, Iran. The new Kurdish President of Iraq, Fouad al-Masoum, is old and powerless. Venerable and seasoned, he carries little weight in the hierarchy of post-Saddam Iraq. He nevertheless is a respected grandfatherly figure, thanks to a long career in politics, side-by-side by his predecessor ex-boss Jalal Talbani. Masoum, aged 76, was educated in Islamic Sharia at Baghdad University and the prestigious al-Azhar University. Parliament Speaker Salim al-Jabouri is a middle-aged Sunni Muslim hailing from the religion-driven Islamic Party. He runs the legislative branch that last April, was packed by Iran-backed politicians, headed by ex-Prime Minister Nuri al-Malki. Although on paper, he is Iraq’s Number Two, the speaker has a thin power base – to say the least – within the Sunni community. 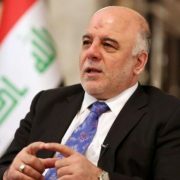 The new Prime Minister Haidar Abadi is also from an Islamic party, al-Da’wa, and was brought to power this month with the full backing of regional heavyweights, Iran and its Grand Ayatollah Ali Khamenei. One wonders why the country’s top brass is educated at religious schools or hailing from Islamic parties. The answer simply, is that this is the new elite that Iran has carefully been crafting for Iraq. Political Islam sells well and Iran needs it as a tool of control in Iraqi politics. Tehran has produced a cross-sectarian and multi-ethnic elite that is willing to work under Iranian influence. The formula is not new. It has been tried time and again in Lebanon. Iran’s Lebanese allies, Hezbollah, run the country – on paper – with a colourful assortment of Christian and Sunni Muslim figures. Men like Tammam Salam, Najib Mikati, and Michel Aoun all hail from prominent political families, are backed by heavyweight parties, and were educated at top notch schools. None of them were born yesterday. All of them look good on TV and hold important jobs at different levels of government. 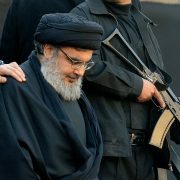 Real power, however, lies in the hands of Hezbollah. For at least 10 years now, Hezbollah’s game has been: “We go to elections: if we win, we rule. If you win, we will make you feel that you are ruling, but we will still be ruling!” Pretty much that sums up the situation in Iraq as well. 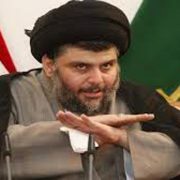 Real power lies in the hands not of the parliament speaker or president, but in those of heavyweight Iranian proxies like Ammar al-Hakim and Muqtada al-Sadr. They have arms, are demographically superior, and they control the airwaves, purse strings, and streets of Baghdad. Everybody else is just window dressing in post-Saddam Iraq. Currently, talks are underway for creating a new Iraqi government. 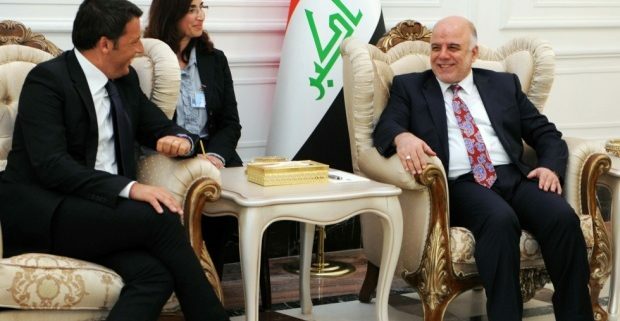 Abadi has learned his lesson well from the career and faults of his predecessor, Nuri al-Malki. It was Malki’s blatant sectarianism that led to the collapse of the Iraqi Army in Mosul, where four divisions with 60,000 troops were outmuscled overnight by a few thousand Islamic fighters from IS. Malki ran his country with an iron fist and at one point or another, antagonized everybody around him including the Kurds and fellow Shiite heavyweights Ammar al-Hakim and Muqtada al-Sadr. 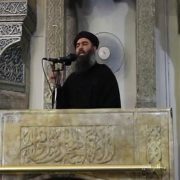 He was never on good terms with Iraqi Sunnis. He persecuted their leaders, kept them away from important jobs in government, and turned a blind eye to Shiite death squads that struck at their neighbourhoods back in 2006-2008. More importantly he did nothing about the de-Baathification laws imposed by the US after 2003 – which punished the Sunni community as a whole for having produced Saddam Hussein. He personally signed off the execution warrant of Saddam Hussein and many of his top officials. Maliki also recruited Shiite militias into the Iraqi army and sent Sunni militiamen to jail, thereby increasing their ratio in the Armed Forces. 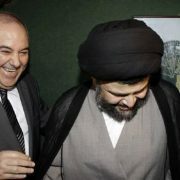 Although Sunnis under Malki got the Ministry of Defense, the powerful Interior Ministry went to the Shiites. It was used for grand persecution, torture, and arrest of Sunnis in Baghdad. Its ministers had used the post to settle old scores with the Sunnis. 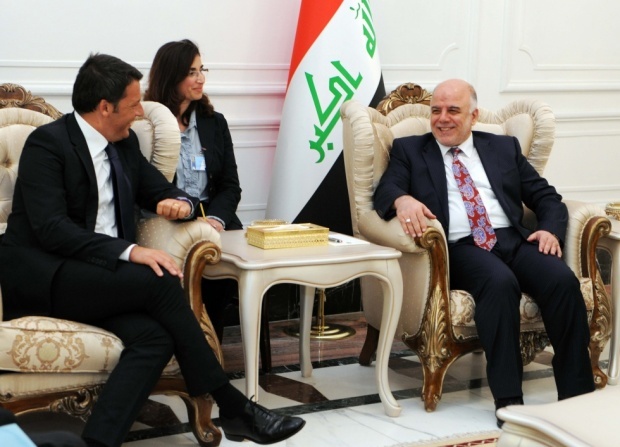 If Haidar Abadi is to succeed, he has to “undo” all of the above. Of course, he needs cooperative politicians to lean on. Saddam loyalists and Saudi protégés within the Iraqi Sunni community will not do. They curtly refuse to accept Iran’s dominance of post-Saddam Iraq and will continue to work against it. Abadi needs to give independent Sunnis room to manoeuvre. He needs to empower them in government give them a role in nation-building. Bringing them to power and having them shoulder responsibility for security and nation-building is the only way to prevent them from one day tilting towards IS or any of its sister radical Sunni splinter groups, that have already sprouted and will likely mushroom in the years ahead. Iran cannot run Iraq through Shiites alone. There are places in Iraq where Shiite deliverables are low, and in some cases non-existent. Iraqi Shiites can help in Shiite districts. They can help cement Iran’s relations with Iraq’s clerical community and within cities like Najaf and Karbala. But they cannot take Iran into the “old money” of Iraqi’s Sunni community, for example. They cannot take Iran into the powerful Sunni ulema society of Baghdad. 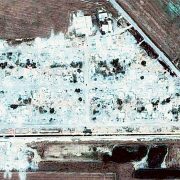 They cannot deliver when it comes to powerful Sunni families that are connected with their counterparts in the Arab world through family ties, commercial dealings, and historical ties. To do that, Iran needs to court a new assortment of Sunni faces – through a trusted Shiite politician, like Haidar Abadi.